Presentations are an opportunity to move people. But the final product—an incredible presentation—can’t materialize out of thin air. 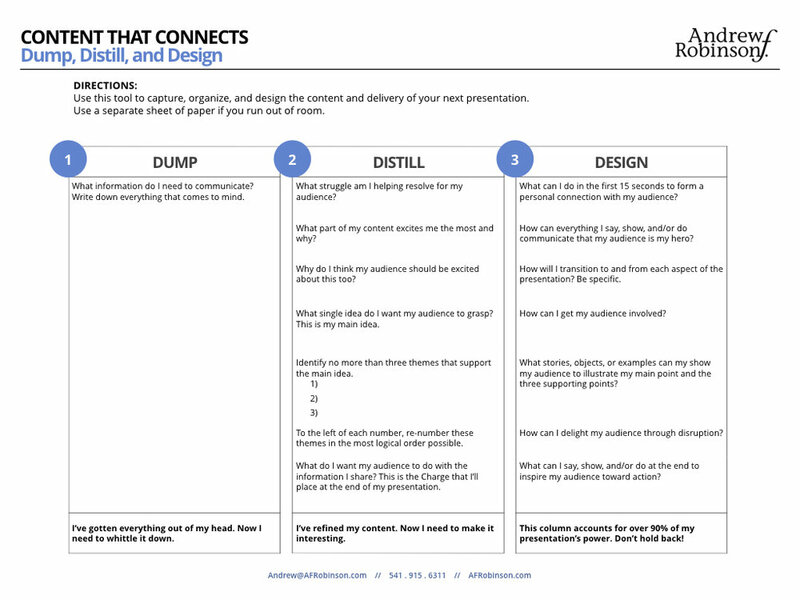 Use my 3-Step Presentation Preparation process as you put together your next presentation. You'll find that the final product translates your message into a format that engages your audience.